Laid down, 1 December 1941, as the commercial tug Port Ludlow under Maritime Commission contract (MC hull 435).at Birchfield Boiler, Inc., Tacoma, WA. 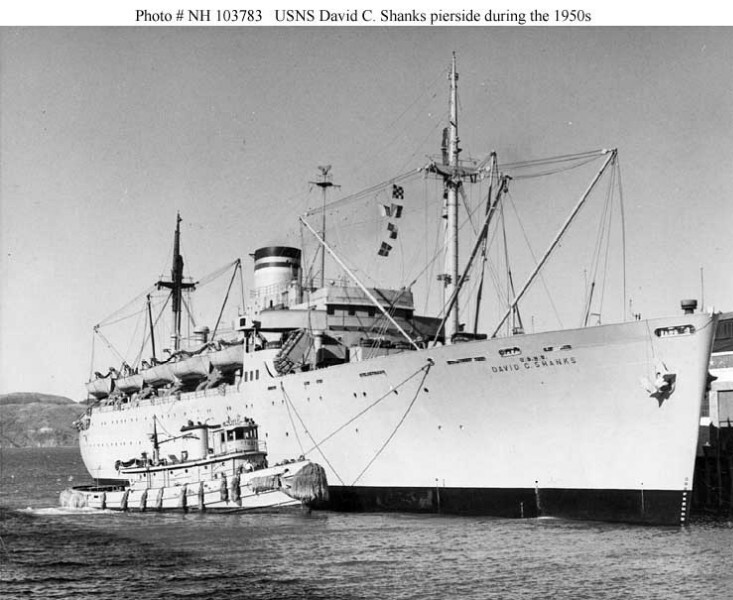 Allocated to the 12th Naval District at San Francisco, CA..
100k Red Cloud (YTB-268) assisting USNS General David C. Shanks (T-AP-180) away from the pier at Fort Mason, San Francisco, CA., circa 1950s. 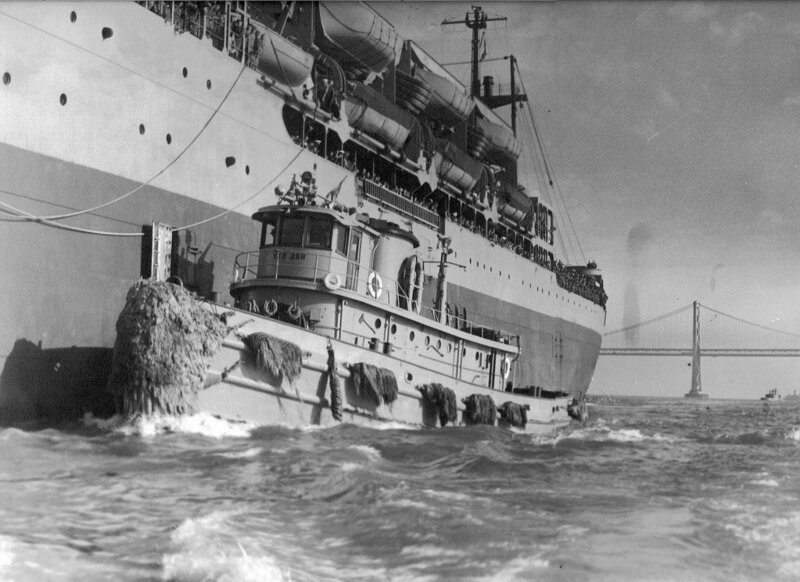 186k Red Cloud (YTB-268) alongside USNS General David C. Shanks (T-AP-180) outbound outside the Golden Gate at San Francisco, CA., circa 1950s. Red Cloud is retrieving the harbor pilot from the transport.